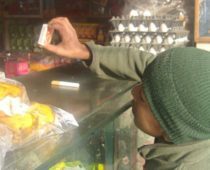 Tobacco companies aggressively block, weaken, and undermine policies designed to protect public health and reduce tobacco use, and at times they may work outside of Myanmar’s laws. #BritishAmericanTobacco is being accused of advertising to children in Myanmar. I support an immediate government investigation into these allegations! In Myanmar, British American Tobacco allegedly offered “kiddie packs” of four cigarettes, promoting and selling its cigarettes near schools, sponsoring music events aimed at the young and including free lighters with packs. The Times: "Tobacco giant accused of tricks to hook children"